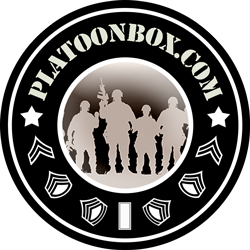 Force XXI Battle Command Brigade and Below (FBCB2) is a Linux-based communication platform designed for commanders to track friendly and hostile forces on the battlefield. It increases a vehicle commander’s situational awareness of the battlefield by gathering information near real-time based on vehicle locations being updated on the battlefield. This information is viewed graphically, and exchanged via both free and fixed text message formats (instead of verbal collection of reports). Provides seamless battle command capability to leaders at the Brigade level and below. Provides units the capability to transmit key combat information rapidly through formatted digital messages. Provides situational awareness (SA) by showing the users their position as well as other friendly forces, observed enemy forces, and reported battlefield obstacles. Posted on 2015-08-23 2015-08-23 by Rubirosa SantanaPosted in SGTTT ClassesTagged Communication, FBCB2.